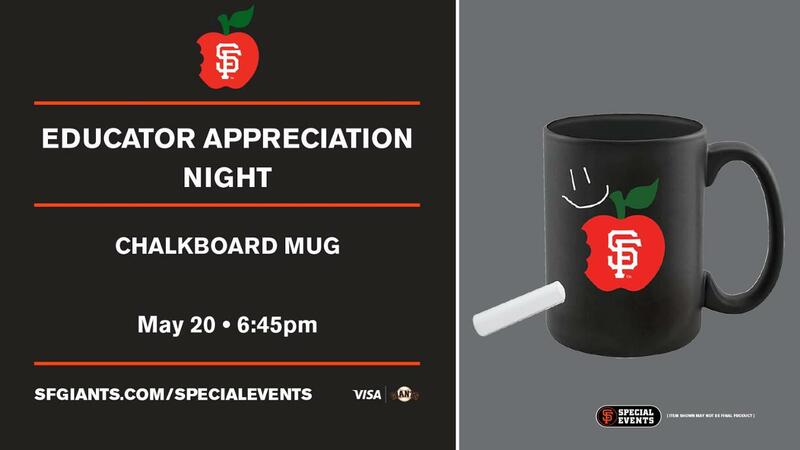 The Giants are proud to invite all members of the education community, as well as their family and friends, to AT&T Park for Educator Appreciation Night. 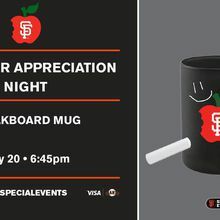 On this evening, fans who purchase a Special Event ticket will receive a game ticket to see the Giants take on the Atlanta Braves, as well as a limited edition Giants-themed Chalkboard Mug! Whether you are a teacher, administrator, faculty member, or a family or friend of an educator, we hope you can join us on this evening as we say "thank you!" to the hardworking men and women who give so much to our Bay Area communities.